TUCSON, Ariz. – Senior running back Devontae Booker rushed for 145 yards with a touchdown and tied the school record with his 14th career 100-yard game, but the University of Utah football team dropped a 37-30 double-overtime decision to Arizona in a Pac-12 South Division matchup on Saturday at Wildcat Stadium. This was Utah’s first overtime game of this season and its first since a 20-17 double-overtime victory at Stanford on Nov. 15, 2014. The Utes were 2-1 in overtime last season and are 9-8 all-time in overtime games. Utah has played at least one overtime game each of the past seven seasons. The Utes surpassed 400 total yards for the third time this season (442 yards) and Utah was 8-of-17 (.471) on third-down chances in the contest. The Utes were 4-for-5 (.800) in red zone opportunities with three touchdowns (.600). Utah held a 37:24 to 22:36 edge in time of possession over Arizona. 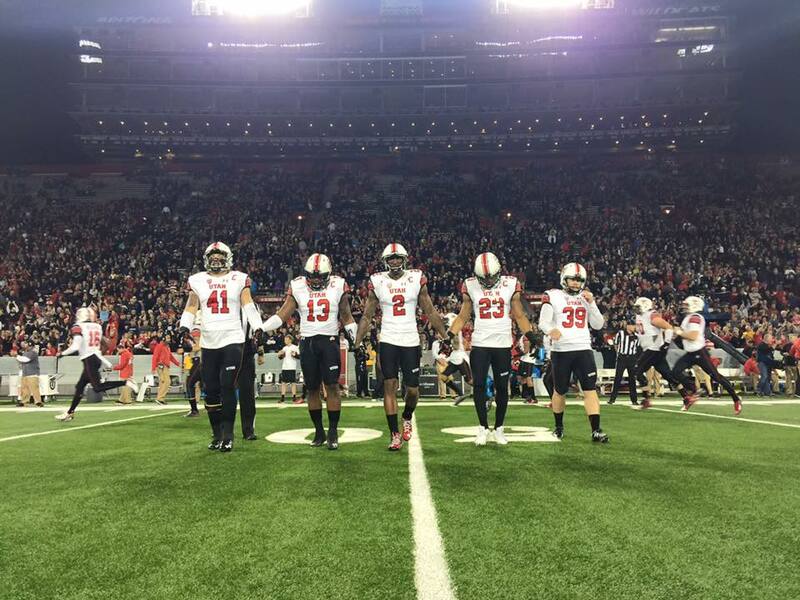 The Utes put together three scoring drives that lasted more than five minutes of clock time. Booker ran for 145 yards on 34 carries (4.3 ypc) with one touchdown. He has tied the school record with 14 career 100-yard games. This was his seventh 100-yard rushing game this season, which is tied for third in school history. Booker is third all-time in school history with 2,773 career net yards. His 1-yard TD in the first quarter was his 11th rushing TD of the season, which is tied for the fifth-most in school history. His 21 career rushing touchdowns is fifth all-time at Utah. He has scored 23 career touchdowns (2 receiving). Senior quarterback Travis Wilson was 20-for-31 passing with two touchdowns (1 INT) for 219 yards, his 16th career 200-yard passing game. He has thrown 53 career touchdown passes and now owns the school career record for total touchdowns with 73 (53 passing, 20 rushing). He also rushed for 31 yards (13 carries). Seven different Utes caught passes against the Wildcats. Senior wide receiver Kenneth Scott had three catches for 18 yards with one touchdown. Scott drew two pass interference penalties on one drive in the first half and capped the same drive with a 2-yard touchdown. Scott is tied for second on the team with three touchdown catches and he has 10 over his career. His 120 career catches is tied for 12th in school history. Sophomore tight end Harrison Handley had two catches for a team-high 69 yards and one touchdown. Handley caught a 59-yard touchdown pass down the left seam on Utah’s first play from scrimmage in the second half. He is tied for the team lead with four touchdown catches this season. Freshman Britain Covey had 68 receiving yards on four receptions. His 46-yard reception was his second-longest this season. Covey was second on the team with 112 all-purpose yards with 34 combined return yards. Defensive backs Justin Thomas and Brian Allen each had interceptions for the Utes. Thomas has two interceptions this season and eight over his career. He also added two tackles. This was Allen’s first career interception. Junior placekicker Andy Phillips was 3-for-3 on field goals with makes from 40, 38 and 34 yards. His 40-yard field goal came after the first series of overtime. Phillips is 18-of-22 this season and now owns the school record with 58 career field goals (58-of-70). He is 8-of-12 from 40 yards or longer this season. Sophomore safety Marcus Williams led the defense with eight tackles. Junior cornerback Dominique Hatfield tied his season high with five tackles. Senior punter Tom Hackett averaged 49.0 yards per punt (four punts for 196 yards) with a long of 66. Arizona scored on each of its three first-quarter drives as the home team jumped out to a 17-7 lead after the first 15 minutes of play. 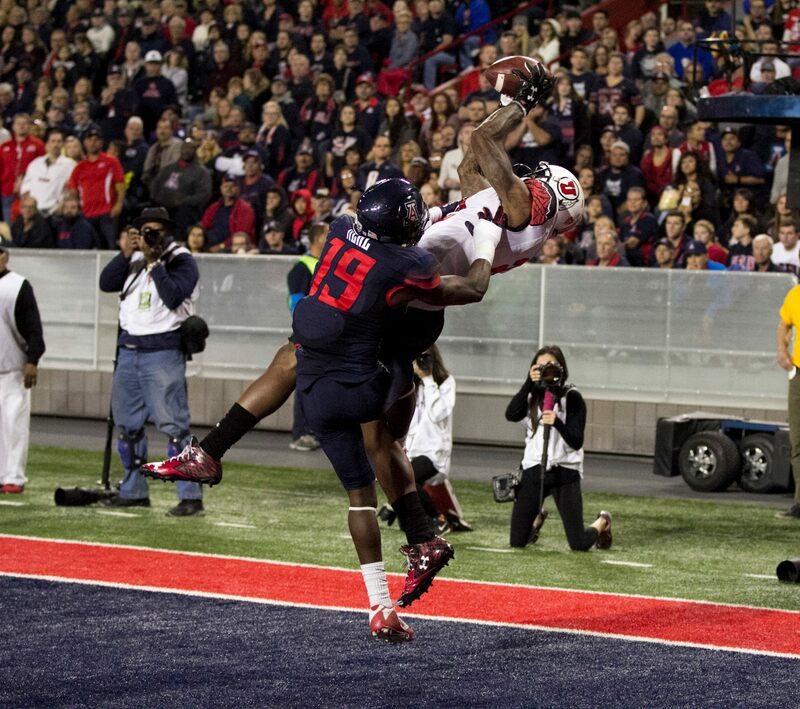 The Wildcats drove for a 47-yard field goal by Casey Skowron on its first series, Arizona quarterback Anu Solomon threw a seven-yard touchdown to Samajie Grant and Solomon found Cayleb Jones for a 17-yard touchdown pass on a corner route. The Ute offense went three-and-out on its first series, but responded with a 13-play, 75-yard drive, which took 6:28 off the clock and ended with a 1-yard TD run by Booker. The Utah defense stopped Arizona on a fourth down and took possession on its own 33-yard line and pieced together a 13-play, 51-yard drive that lasted 6:08 and led to a 33-yard field goal by Phillips to bring Utah within one score, 17-10. 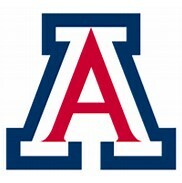 Arizona marched down to the Utah 4-yard line on the ensuing drive before an errant snap moved the Wildcats back to the Ute 23-yard line to limit the U of A to a 47-yard field goal by Skowron that put Utah at 20-10 deficit. Utah stormed back with 17 unanswered points. The Utes took over with 2:30 left in the first half and the Ute receivers stepped up. Covey took a swing pass 46 yards down the sideline before Scott drew a pair of pass interference penalties on a flea-flicker and in the end zone before that advanced the Utes to Arizona’s 2-yard line. Scott then finished the drive with an impressive two-yard touchdown catch along the boundary, his third TD this season and the 10th of his career. Covey opened the second half with a season-long 36-yard kickoff return before Wilson found Handley down the seam for a 59-yard touchdown on the first play from scrimmage of the third quarter to give Utah the lead for the first time, 24-20. Arizona drove to Utah’s 20-yard line on its first drive of the second half, but the Utes stopped the Wildcats when Allen tip-toed the sideline in the end zone for his first career interception. The Utes converted that turnover into three points as Phillips made a 38-yard field goal after a 12-play, 60-yard drive that took 5:49 of clock time and gave the Utes a 27-20 edge. The Wildcats answered with a touchdown drive to tie the game for the first time at 27 all when the teams were held scoreless after trading punts on three straight possessions and Thomas picked off his second pass of the season (the eighth of his career). Unfortunately, the Wildcats were able to regain possession after forcing and recovering a fumble at midfield with just over five minutes left. The Utes were able to force a three-and-out and neither team scored in the remaining five minutes of regulation as the contest was sent to overtime at 27-27. The teams traded field goals in the first overtime as Phillips nailed a 40-yarder. Arizona started the second overtime period with a 25-yard touchdown and the Utes were unable to get in the end zone on their next possession. The Utes host UCLA next Saturday at 1:30 p.m. MT in Rice-Eccles Stadium on FOX.